View Photo Gallery – A new book gave Bruce Springsteen the chance to write his thoughts about three decades of tough times in our nation. The following are excepts of his foreword to “Someplace Like America,” by Washington Post photographer Michael Williamson and writer Dale Maharidge, both Pulitzer Prize winners. The Boss agreed to write the introduction to “Someplace Like America.” His words are adapted for publication here, along with some of Williamson’s pictures. That book – “Journey to Nowhere,” by Dale Maharidge and Michael S. Williamson – put real lives, names and faces on statistics we’d all been hearing about throughout the ’80s. People who all their lives had played by the rules, done the right thing and had come up empty, men and women whose work and sacrifice had built this country, who’d given their sons to its wars and then whose lives were marginalized or discarded. I lay awake that night thinking: What if the craft I’d learned was suddenly deemed obsolete, no longer needed? What would I do to take care of my family? What wouldn’t I do? As we tuck our children into bed at night, this is an America many of us fail to see, but it is a part of the country we live in, an increasing part. I believe a place and a people are judged not just by their accomplishments, but also by their compassion and sense of justice. In the future, that’s the frontier where we will all be tested. How well we do will be the America we leave behind for our children and grandchildren. Now, their new book, “Someplace Like America,” takes the measure of the tidal wave 30 years and more in coming, a wave that “Journey” first saw rolling, dark and angry, on the horizon line. It is the story of the deconstruction of the American dream, piece by piece, literally steel beam by steel beam, broken up and shipped out south, east and points unknown, told in the voices of those who’ve lived it. Here is the cost, in blood, treasure and spirit, that the post-industrialization of the United States has levied on its most loyal and forgotten citizens, the men and women who built the buildings we live in, laid the highways we drive on, made things and asked for nothing in return but a good day’s work and a decent living. It tells of the political failure of our representatives to stem this tide (when not outright abetting it), of their failure to steer our economy in a direction that might serve the majority of hard-working American citizens and of their allowing of an entire social system to be hijacked into the service of the elite. The stories allow you to feel the pounding destruction of purpose, identity and meaning in American life, sucked out by a plutocracy determined to eke out its last drops of tribute, no matter what the human cost. And yet it is not a story of defeat. It also details the family ties, inner strength, faith and too-tough-to-die resilience that carry our people forward when all is aligned against them. When you read about workers today, they are discussed mainly in terms of statistics (the unemployed), trade (the need to eliminate and offshore their jobs in the name of increased profit) and unions (usually depicted as a purely negative drag on the economy). In reality, the lives of American workers, as well as those of the unemployed and the homeless, make up a critically important cornerstone of our country’s story, past and present, and in that story, there is great honor. Maharidge and Williamson have made the telling of that story their life’s work. They present these men, women and children in their full humanity. They give voice to their humor, frustration, rage, perseverance and love. They invite us into these stories to understand and allow us to experience the hard times and the commonality of experience that can still be found just beneath the surface of the modern news environment. In giving us back that feeling of universal connectedness, they create room for some optimism that we may still find our way back to higher ground as a country and as a people. As the folks whose voices sing off the book’s pages will tell you, it’s the only way forward. Melanie Herzog is professor of art history at Edgewood College in Madison, Wisconsin. ‘Milton Rogovin celebrates the non-celebrated, the ones who make the world go round’. These words, spoken by prize-winning author Studs Terkel, are a fitting lens through which to view the work of Milton Rogovin, optometrist, political activist, and photographer. 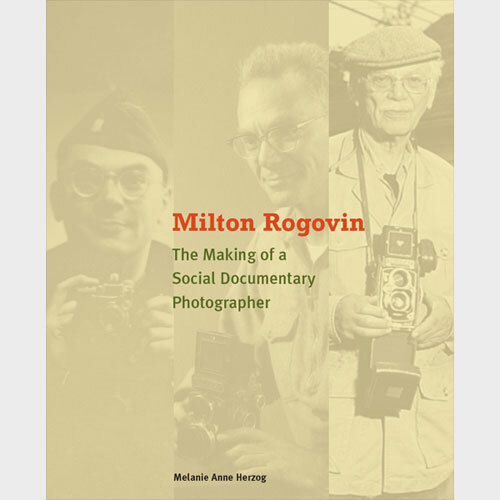 “Milton Rogovin: The Making of a Social Documentary Photographer” chronicles the story behind that life, and the man behind the acclaimed photographs that invite us to see for the first time, or to see anew, the tenacity, profound dignity, and resilience of people living in extremely difficult circumstances. Born in New York in 1909 to a Russian Jewish immigrant family, Rogovin was radicalized by the widespread deprivations he witnessed and experienced during the Depression, and he dedicated himself to working for social and economic justice. After military service in World War II, he began an optometry practice in Buffalo, and he and his wife became active politically, engaging in union organizing and voter registration in Buffalo’s African-American community. His activism led him to be called before the House Committee on Un-American Activities, and after refusing to testify, he was dubbed ‘Buffalo’s Number One Communist’. Much of his optometry clientele vanished, but, as he would realize, ‘there was also a positive result’ to the attacks. His political voice silenced, he turned to photography as a way to speak about social inequities. In the years that have followed, Rogovin has devoted himself to chronicling the lives of people in New York, Appalachia, Scotland, Cuba, Zimbabwe, Mexico, France, Czechoslovakia, Spain, Germany, and China. 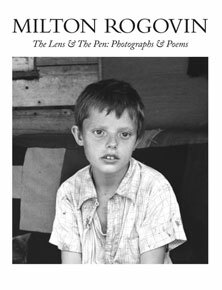 Scholar Melanie Herzog locates Rogovin within a tradition of social documentary photography that began when nineteenth- and early-twentieth-century sociologists took up the camera, or, more often, enlisted the service of photographers to advocate for social reform through visual representations of the plight of the poor. But while Rogovin’s work is undoubtedly political, he does not romanticize his subjects or seek to portray them as victims or heroes; he seeks simply to convey the effects of material reality on people and their agency, to show how people live in relation to social conditions. This richly illustrated retrospective features Rogovin’s own narrative of his development and life as a documentary photographer, amplified by an account of the historical events and circumstances that shaped his politics and social consciousness. Milton Rogovin has dedicated his life’s work – as an optometrist, an activist, and a photographer – to enabling people to see more clearly. His photographs demand witness, and to witness is to see. The link to the Chicago Tonight clip is also here. . .
A one-of-a-kind, vintage photo exhibit that tells compelling stories about work and working-class people through the eyes of renowned photographer Milton Rogovin. The debut exhibit, The Working-Class Eye of Milton Rogovin, features some striking images of workers from the living photographer’s collection that have never been seen before by the public. Born in 1909 in New York City, Rogovin went to Buffalo, New York, for work as an optometrist. 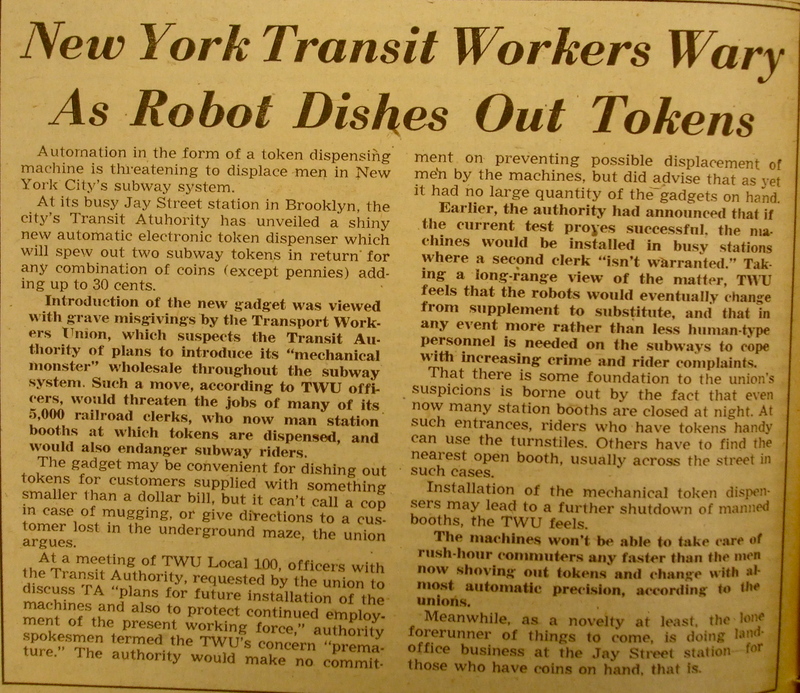 Involved in political work as well, Rogovin looked to socialism as a model for improving the lot of workers and was called before the House Unamerican Activities Committee in 1957. As a result of this, Rogovin’s business dwindled and he decided to pursue photography as a means to express the worth and dignity of people who make their livings under modest and difficult circumstances. 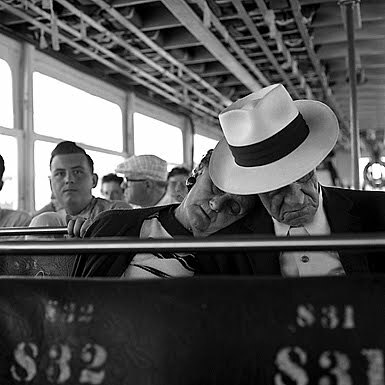 “This show is different and very exciting for my family because it is one of those rare times when organizers of a show took the time to choose the images themselves and to exhibit them uniquely through the lens of the working-class eye.” said Mark Rogovin, son of the documentary photographer. Rogovin opened his father’s vast collection to Ensdorf, who curated the new exhibit, in consultation with Roosevelt labor historians Erik Gellman and Jack Metzgar. The three Roosevelt professors spent more than four months sifting through more than 1,000 photos of working-class people taken by Rogovin during the last half century in order to present the exhibit that is unlike any previous Rogovin show. April 7th: Triangle Fire 100th anniversary event in Gage Gallery featuring Professor Jo Ann Argersinger from Southern Illinois University, co-sponsored by Roosevelt and UIC History Departments and the New Deal Center at Roosevelt. Exhibition made possible by generous financial support from Susan B. Rubnitz. Sponsored by Roosevelt University’s College of Arts and Sciences, the Chicago Center for Working-Class Studies, and the Labor and Working-Class History Association.